Dare to be off-square with our best-selling Shutter Collection. Inspired by old style, wooden window shutters, The Shutter Bed's angled, patterned headboard is easy on the back and eyes. 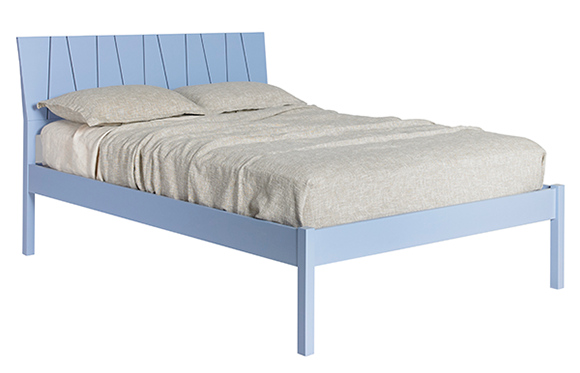 Made to order according to the height of your mattress, the Shutter Bed is an elegant addition to any bedroom. Shown in Sophie Blue.